The Spinsterhood Diaries: Gift Guide: Oh, Man! Today is the second of my much-too-early holiday gift guides. Even though I'm a spinster, there are still several men in my family, and I always have trouble figuring out what to get them for Christmas. 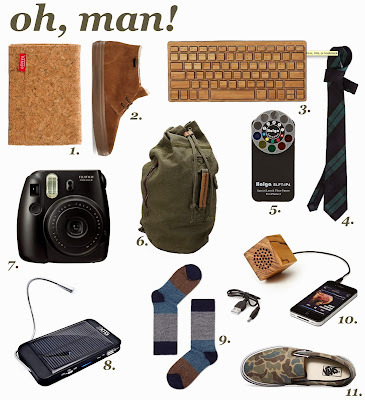 While today's gift guide may not necessarily fit into their specific tastes, it's a start. I've focused mostly on fashion items and technology, but I hope to have something else before the actual holiday season arrives!